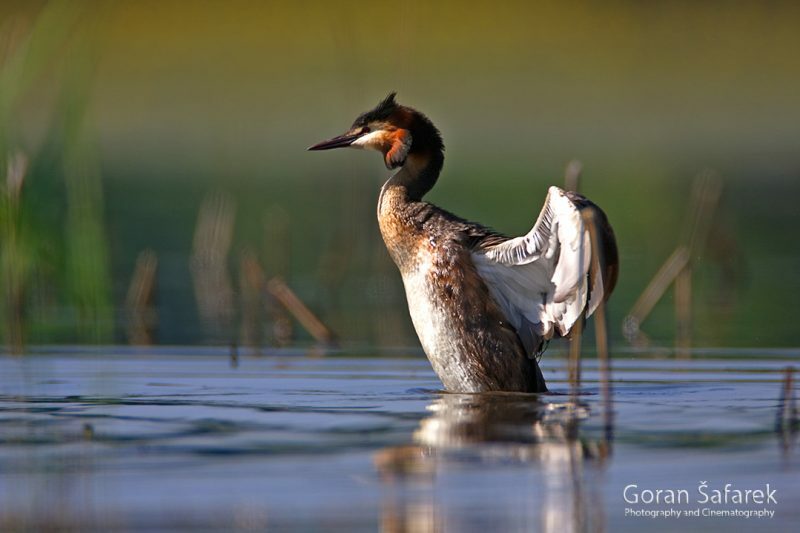 The great crested grebe (Podiceps cristatus) - World Rivers Become a Patron! 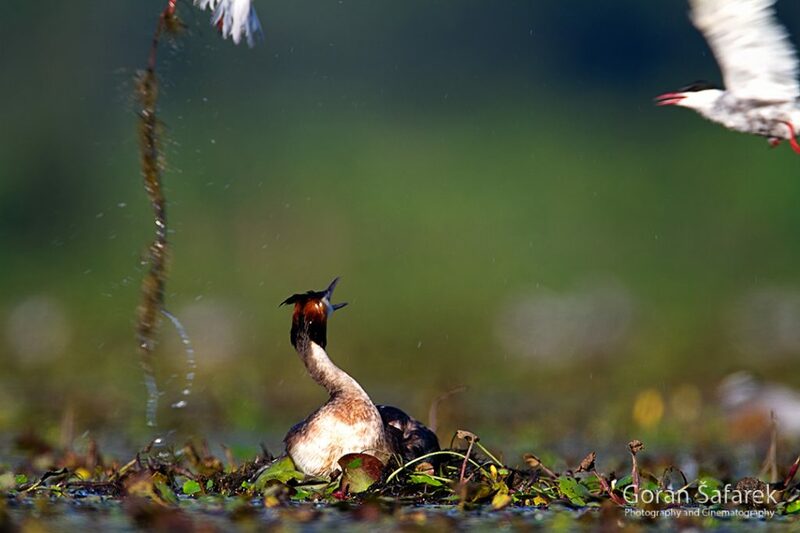 People would say that this bird is romantic, as its nuptial dance looks like just like that. 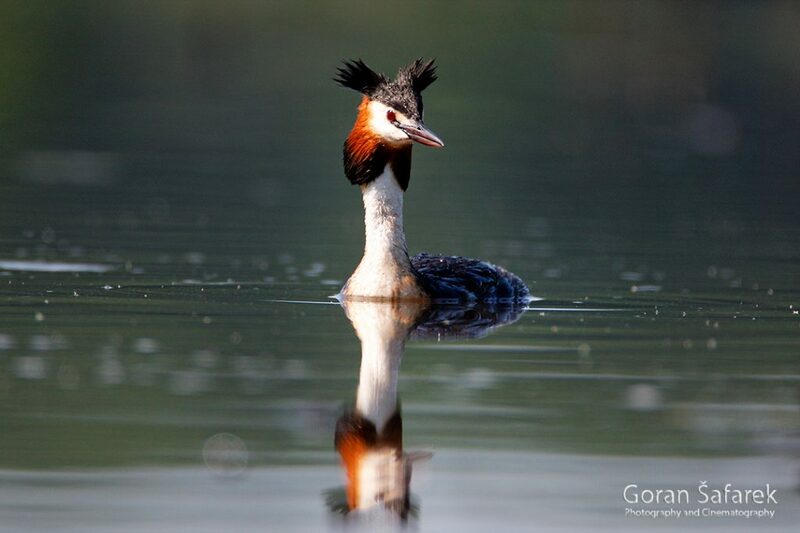 The great crested grebe (Podiceps cristatus) inhabits oxbow lakes and other water bodies. This large bird starts its show in early spring. Male and female are swimming together, occasionally diving for food. The, out of the blue, they would begin to dashing to each other, almost propelling themselves on the water surface. 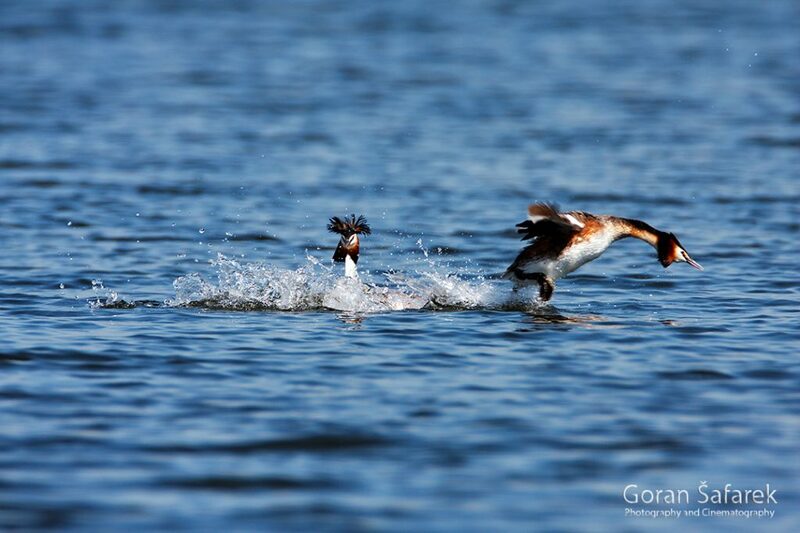 Only after the meet, the water vegetation is visible in the beak, a nuptial gift for a bride. The dancing would ensue, wiggling the necks. This ritual often lasts for days, and often it is coupled with chasing other males. 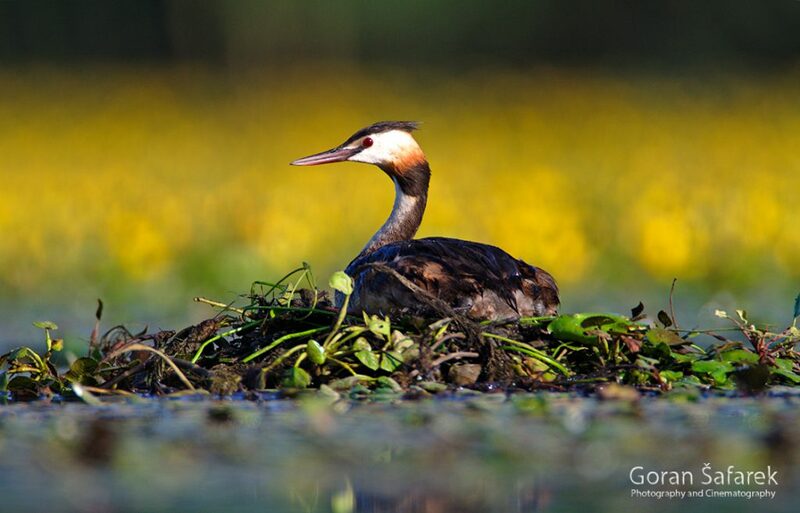 After mating and incubation, the couple builds a floating nest, made from the water vegetation. They commonly nest on loose colony, often on the edge of other social birds like the whiskered tern. 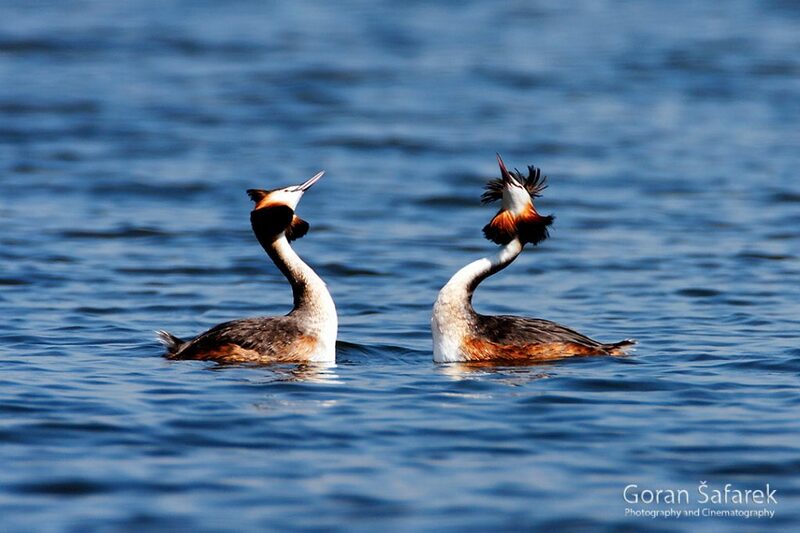 The great crested grebe is good diver what enable it to catch fish in the murky backwaters.